Laurel School, founded in 1896, is a nationally-recognized, independent day school for girls. When the poured-in-place rubber playground surfacing was failing, the school decided it was time for a safer, higher quality surfacing solution. 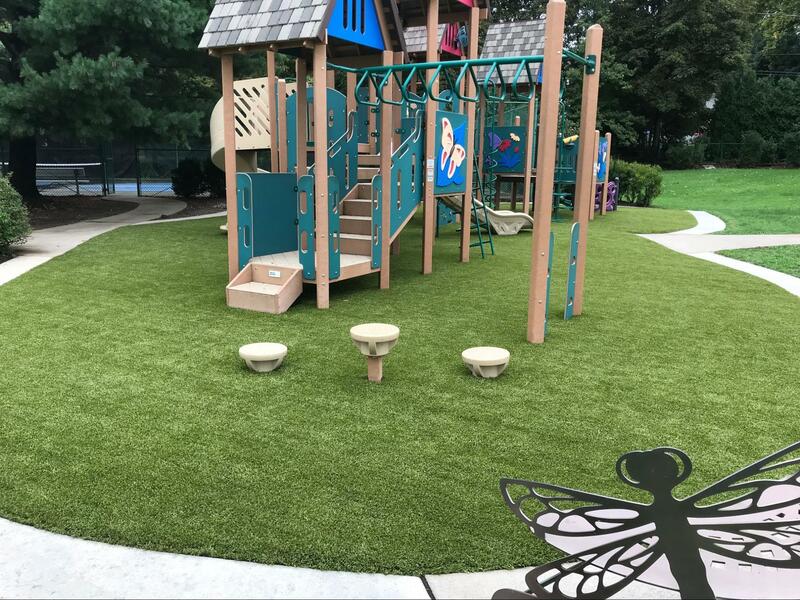 The Mandel Jewish Community Center in Beachwood, Ohio, recommended ForeverLawn® artificial grass, so the ForeverLawn Northern Ohio team was called on to help improve their playground. 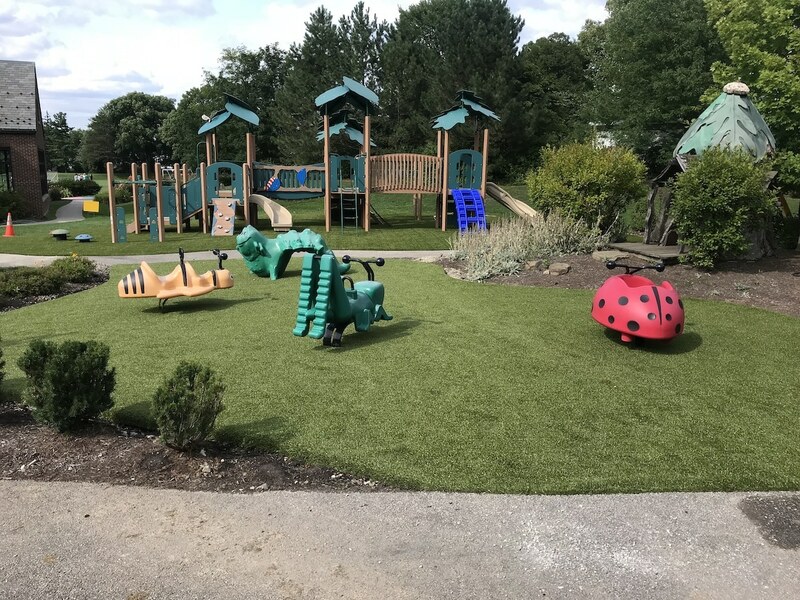 Two bug-themed playgrounds were created on the school property using 7,500 square feet of Playground Grass™ Ultra. The AlphaSan® antimicrobial protection and XStatic™ anti-static technology that’s built into the blades of this artificial turf give the playgrounds an extra level of cleanliness and safety that the old rubber surfacing couldn’t provide. Although it was a challenge to tear out the previous surfacing, it was well worth the beautiful end results.